Rustenburg Handyman Services have been in town for longer that 20 years. Rustenburg Handyman Services business friendliness & skills will allow you to sit back & relax & not have to worry about getting the job done. Rustenburg Handyman Services can do after hours services as well, if need be. You dont have to drive from business to business looking for someone. 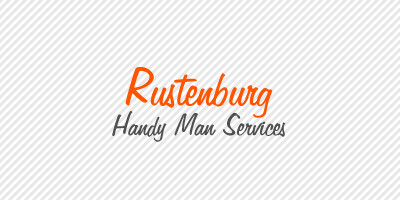 Rustenburg Handyman Services is just a phone call away. General, wooden, palisade, electric Fencing specialists.